I would like to enter several teams into the triathlon team championships. They are taking place on Sunday 12th July at Gosfield Lake (Nr. Halstead). The format is teams of 3 everyone swims 750m (lake swim) in turn, then everyone cycles 20k and finally each person does a 5k run. Several of us did a similar event at Nottingham last year and found the experience great fun. Lots of memorable moments at the changeovers. It is great fun and really builds teamwork. Once you complete your part of the event there is a chance to rest while the other team members have their turn, so it is easier than a normal triathlon. If we can get lots of teams together it would be a great occasion for a club day out. Not too far, and lots of action to watch even if not taking part. A good occasion to show off our prowess to 'proper tri-clubs'. I'd be up for that too! I will get a list of names together. Not at next Tuesday's training as I have to work. Hopefully, Peter can make an announcement and see who we can rope in. Once I get a bit of feedback we will have to decide on what approach to make to maximise our impact. Do we arrange teams in age groups or go for the overall prize? Male, female or mixed? It will depend on who is willing to race. Not sure what the club policy is on entry fees for such events. 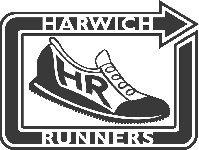 It is a team event for Harwich Runners and we may qualify for entry fees to be paid (or subsidised). Once I get some committment I can book places and we can work out teams nearer the time. I'm a bit late expressing an interest, but it sound like fun to me. Yeah, I'ii do it ! Got several teams outlines for the triathlon team championships. Need another female to make up a team that includes Katie Higgon and Dale Housler in the open female category. Also need another over 40's female to complete the team that includes Elspeth and Carla. I now have 17 names who want to race. Need one more to make up 6 teams. So far the runners and riders are: Dennis, Graeme, Kate H, Tim Warner, Jeff, Paul Mc, Neil, Mark R, Ashley, Carla, Elspeth, Jo H, Katie Higgon, Dale, Anna A, Paul Kerrison and Trudy. At the committee it was decided to make the event a club outing, so that even if you are not racing come along and support the club. The lakeside venue is a great place for a picnic and families would be welcome.